"Randall cattle are a rare breed of purebred cattle developed in Sunderland, Vermont, on the farm of the late Everett Randall. They are considered to be a landrace breed, descended from the indigenous landrace cattle common in New England in the nineteenth century. Randalls have historically been used as a dairy breed, although they also possess meat and draft qualities. 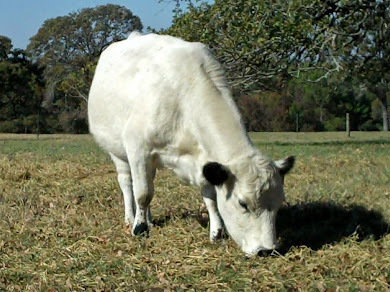 Randall cattle are variable in size and conformation and have a constitution that is uniquely adapted to extensive or low input farming systems. 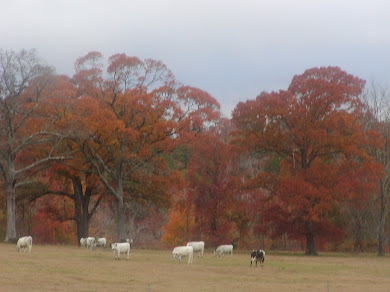 Historically, the most suitable and natural environment for these cattle has been on small scale forage-based farms, subsistence farms, and homesteads. It is on such farms and homesteads that the unique genetic attributes of the Randalls can be fully expressed." 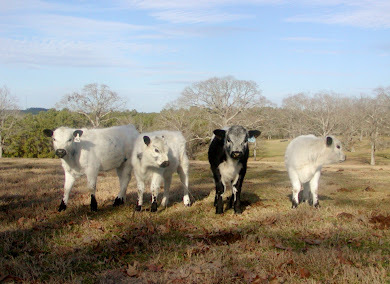 "Randall cattle are classified as "Critical" by the American Livestock Breeds Conservancy (ALBC), although their numbers, once fewer than 20 total animals, have increased since they were first rescued from extinction in 1985. 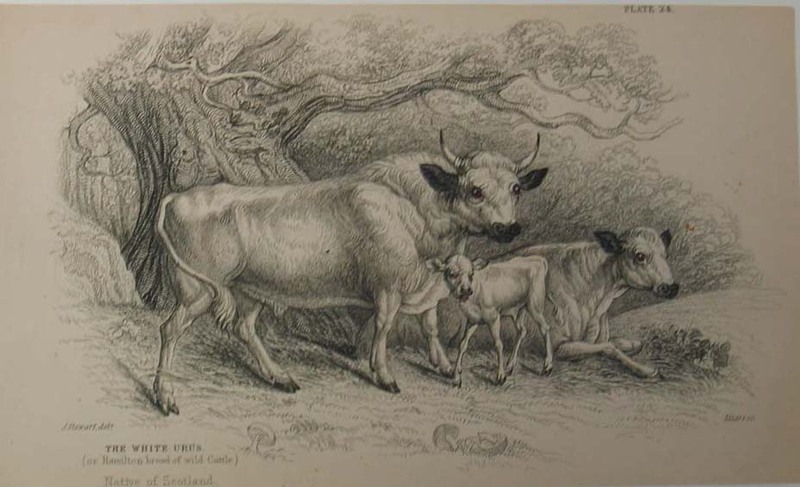 Randall cattle originated on the farm of Everett Randall of Sunderland, Vermont, starting with his father, Samuel J. Randall, around the turn of the 20th Century. Much of the breed's history is surmised, based on anecdotal and other evidence, but the common thread seems to be that the Randall family kept, bred, and selected their cattle in virtual isolation for over eighty years. This selection and isolation resulted in the Randall breed of today, a distinct animal uniquely adapted to its environment." The Randall Breed web site has a very large collection of photos, in particular a quite lengthy slide show that seems a thorough representation of the population of these cattle. Reviewing the slideshow you see from time to time white cattle in the mix. 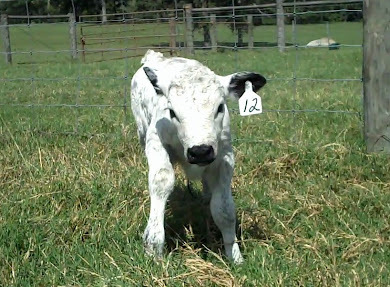 It's like a mirror image of a British White herd of cattle where they are predominantly white with black points and you find as well limited numbers of the black-sided example of the British White breed, what we consider 'line-backed' markings. Also of particular interest to me is the beautifully lyre-shaped horns of this breed that are tipped with black. A review of the photos reflects black-tipped horns not being occasional, but rather most predominant, as is the lyre shape of the horns. The ancient Park Cattle of the British Isles originally had lyre shaped horns, based on the surviving literary references to the breed, and they were tipped in black. Today, you often times see more of a spreading type horn in the remaining horned Park Cattle herds in the USA as well as in Britain, which would be the result of the introduction of English Longhorn into herds of horned Park Cattle most likely in the 18th and early 19th centuries. 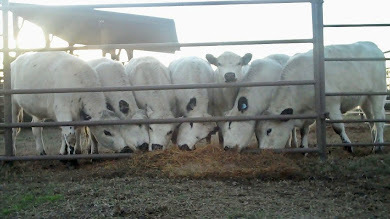 An example of this would be the photos of horned Park Cattle presented at the Seedsavers Exchange web site. While the verbiage indicates the cattle have the traditional lyre shaped horn, the photos are clearly of the wide spreading variety of horn, not a distinctive upward rising lyre shape. 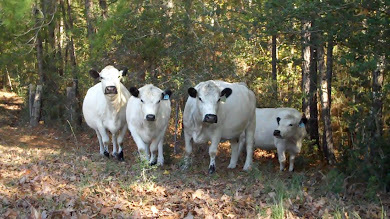 One day I hope that someone with both the interest in the antiquity of these genetics and the wealth to take on such a project, will decide to pursue a thorough genetic analysis of the polled British White, the horned White Park of England and the USA, and this very interesting Randall breed of cattle. Perhaps we could try to get some of that federal stimulus money for such a project! The photo above shows both a red and a black point Randall steer. Apparently, when the breed was originally taken on for rescue there were no red-pointed animals, but over time the recessive red gene presented itself. 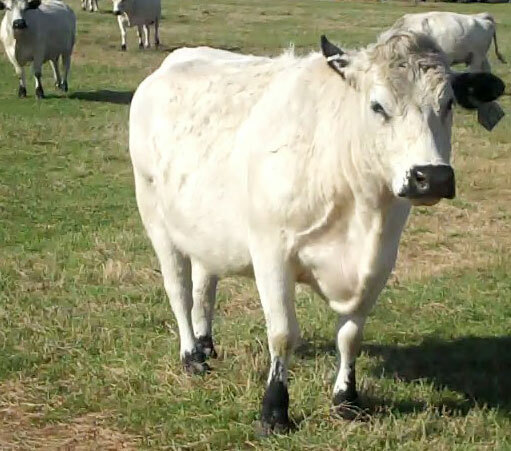 This is also consistent with the ancient Park Cattle we know today as British White and White Park. Do you know anyone with deep pockets and an interest in exploring and preserving the ancient genetics of these special breeds? I'll give you a beautiful heifer if you can find someone who will commit to seeing this done and done right! Thank you for your great post and kind words about the Randall breed. I too share your dream of a project to explore the genetics of our breeds. Phil Lang, Randall Registry VP and webmaster. Many thanks for your review of the post, I'm really glad you are happy with it. One of these days maybe I'll get to see a Randall in person!